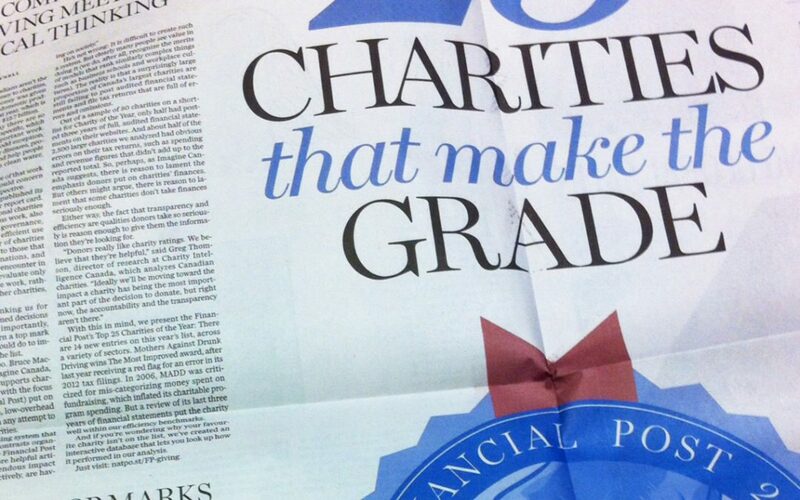 Today the Financial Post named the Loran Scholars Foundation in their second annual list of top 25 Canadian charities worthy of a donation. We are listed first in the Education category. This Financial Post report card rated national charities based on good governance, financial transparency and clear evidence of impact. We are proud to earn this distinction and are deeply grateful to be able to work in partnership with our supporters. We thank you for your belief in our work and invite you to read our 2015 annual report for highlights of the past year.